Nathaniel Burwell descended from the branch of the Burwell family that lived at Carter's Grove in James City County. In a Tidewater accent, the last name is often pronounced as a one-syllable "Burl." Nathaniel inherited 5,500 acres patented originally by his grandfather Robert "King" Carter, who had served as land agent for Lord Fairfax. That land was part of a 50,212 acres patent obtained by "King" Carter in 1730. 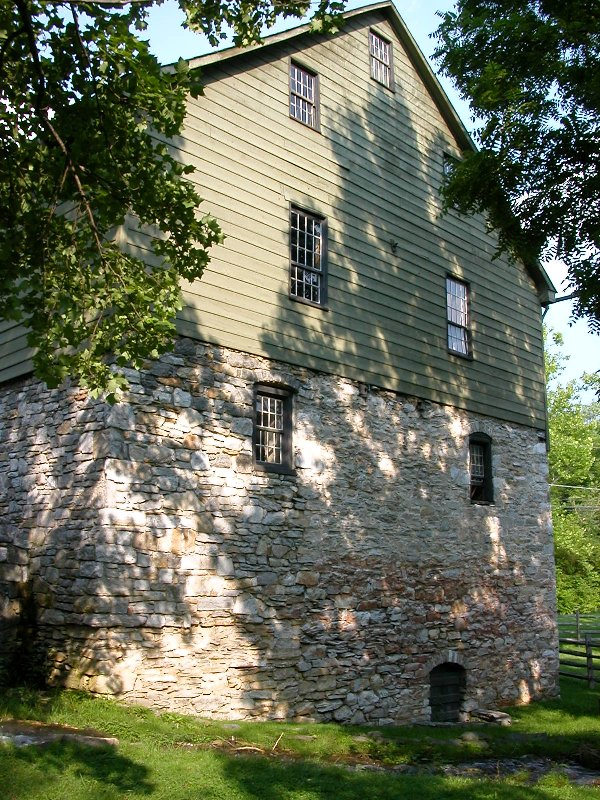 After the Revolutionary War around 1785, General Daniel Morgan and Col. Nathaniel Burwell partnered to build the Burwell-Morgan mill in the community that became known as Millwood. Demand for wheat was high, and their merchant mill ground grain produced by farmers in the Shenandoah Valley. The flour was transported by boat down the Shenandoah and Potomac rivers to market in Alexandria. Morgan had been a teamster driving a wagon in General Braddock's disastrous 1755 campaign against the French fort Duquesne at the site of modern-day Pittsburgh, Pennsylvania. He commanded the 11th Virginia Regiment of the Continental Line in the Revolutionary War, led a rifle corps that was a key part of the American victory at Saratoga, and became a general serving under Nathanael Greene in 1780-81. After the Revolutionary War, Nathaniel Burwell lived intermittently at "Brookside," a house he built near the mill in Millwood. He built Carter Hall in 1792-1800, when he was married to his second wife Lucy Page. In the crossroads of Millwood he built a tanyard, a tanner's house, another mill and eventually a distillery, also in partnership with General Morgan who lived at Saratoga a mile west of the village.